A few weeks ago I purchased a new couch and I reorganized the living room. 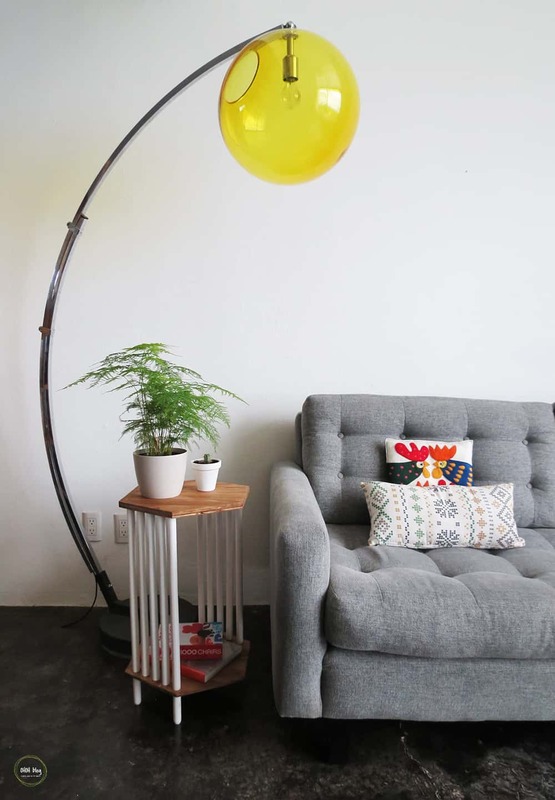 I wanted to add a side table. Awhile ago I made this one using a leftover tile, but it’s a little low. I wanted something higher, that way I don’t have to bend to catch my glass…okay, I’m a little lazy sometime! 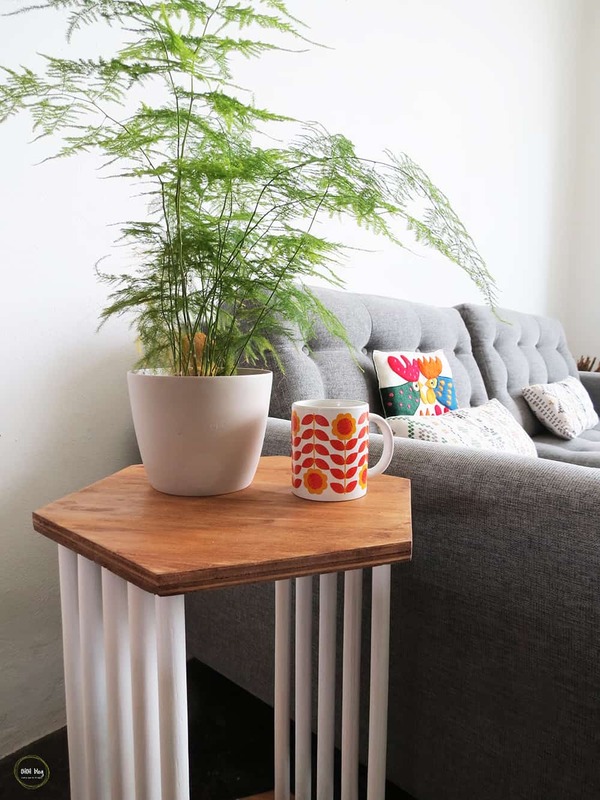 But a higher side table, like this armrest table, is so comfortable! 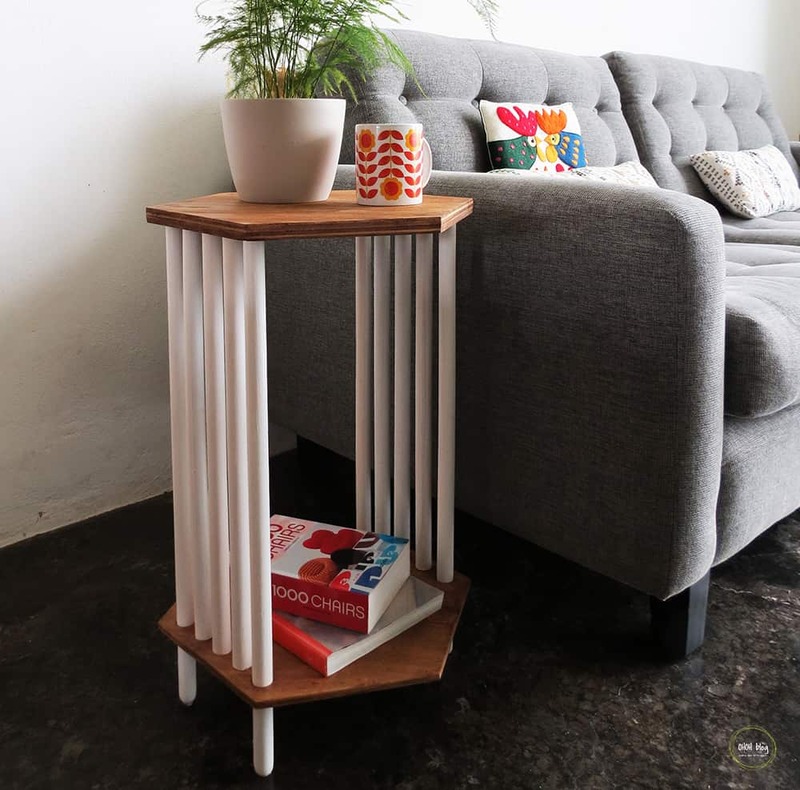 I made this inspired mid-century side table with some plywood leftover and a few broom handles. I L-O-V-E it! 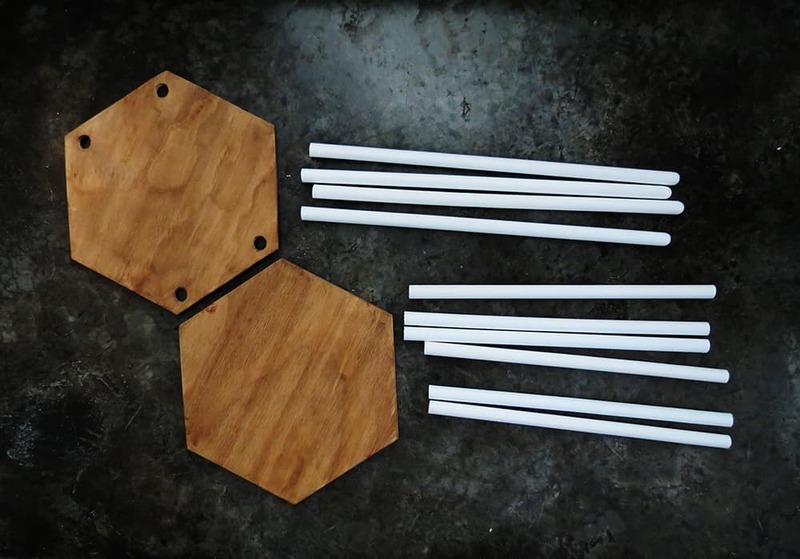 I wasn’t sure at the beginning that the dowels will stay align and support the hexagon tray. So I let the glue sit over night and it works perfectly! 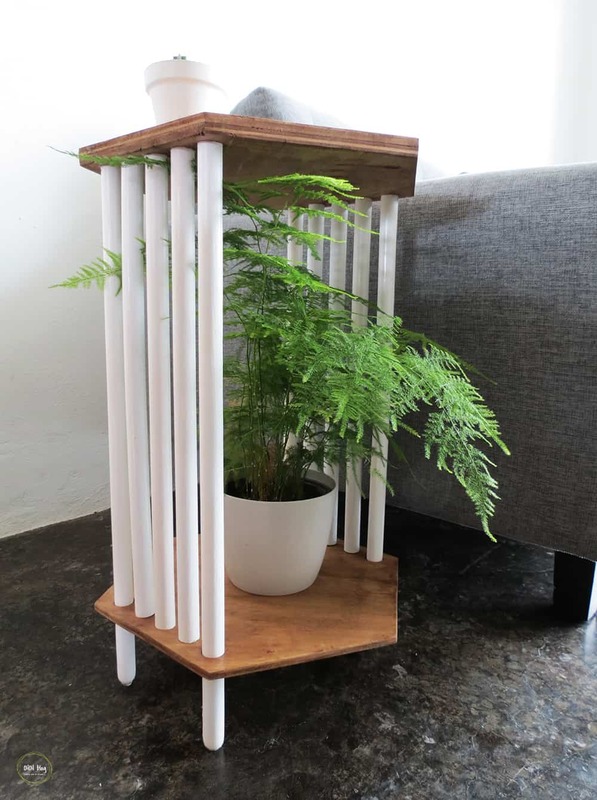 Material you will need to make your side table: 10 mm plywood, 5 wood broom handles, a jigsaw, a drill, a few screws, wooden glue, wood stain and varnish, some paper and a pencil. Start by drawing the hexagon shape on a piece of paper. My hexagon has sides of 8 inches (20cm) I draw it inside a 16 inches (40cm) diameter circle. 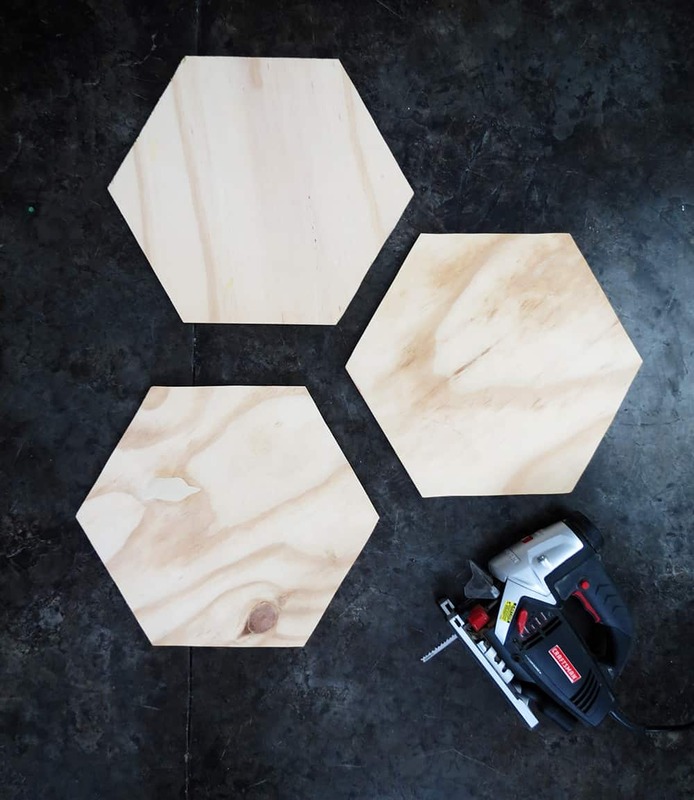 Cut your hexagon paper shape and report it three time on the plywood panel. Cut out the 3 shapes using a jigsaw. 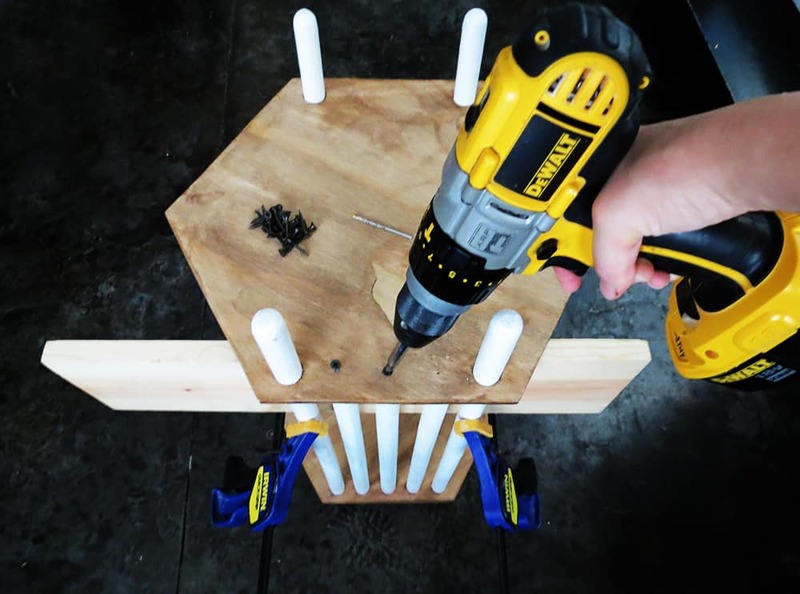 With a drill, who is the same width as the broom handle, make four holes in the bottom hexagon. 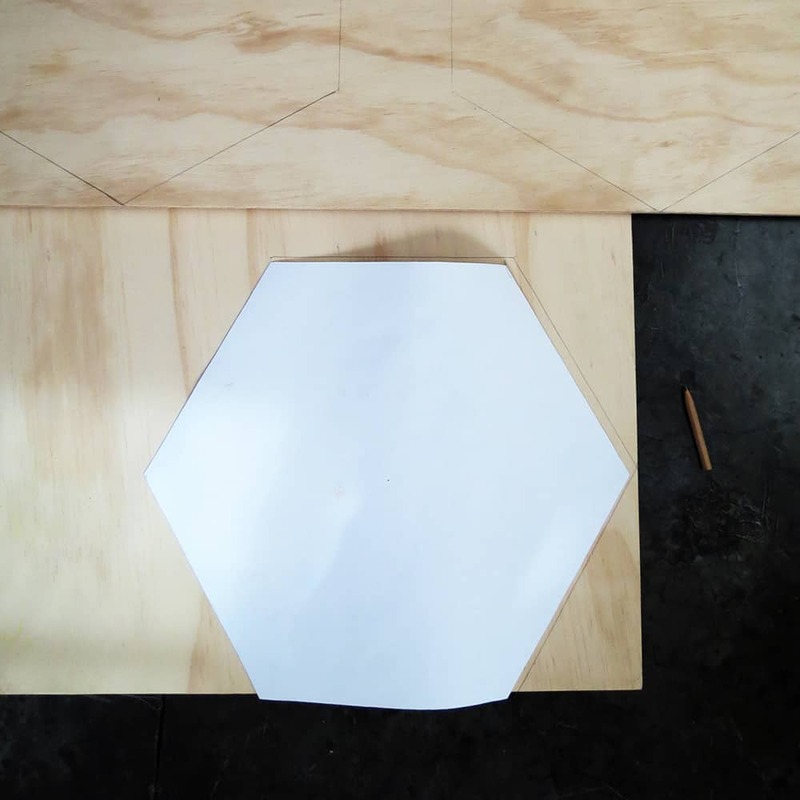 You will use the two others hexagon shapes to make the top tray of the table. In one you need to make 10 holes, 5 on each opposite side. 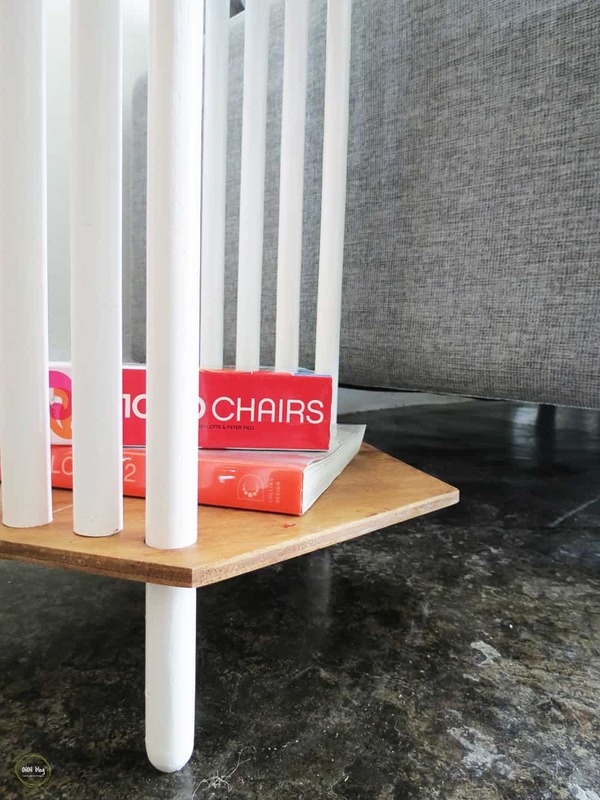 Once the holes are made, check that the dowels fit in them. Then you can sand all the pieces. 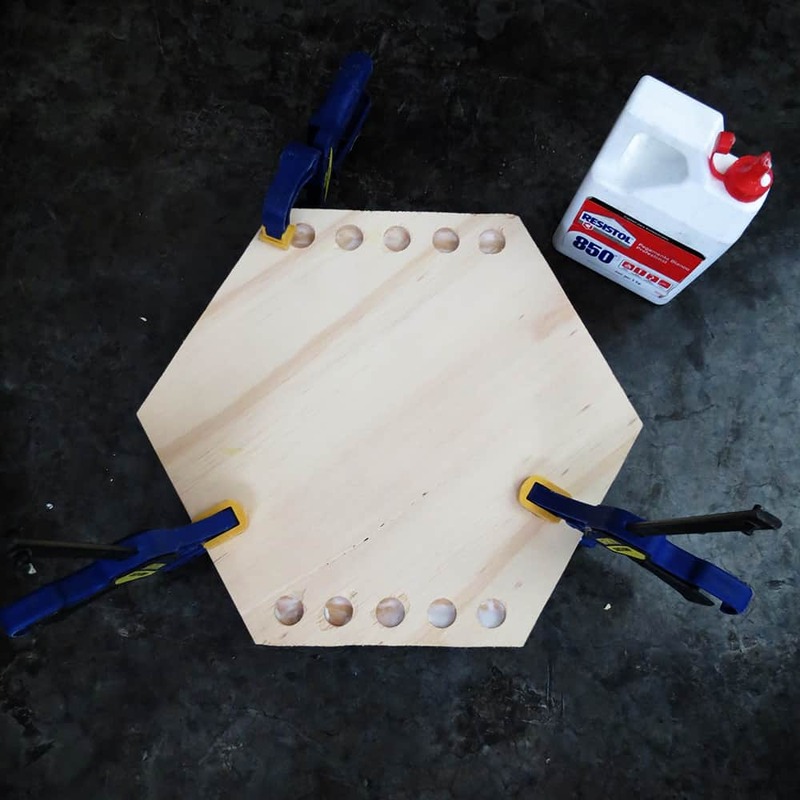 Glue both hexagons (the one with 10 holes and the one without holes) together to make the top tray of the table. Hold the pieces with clamps while the glue dries. 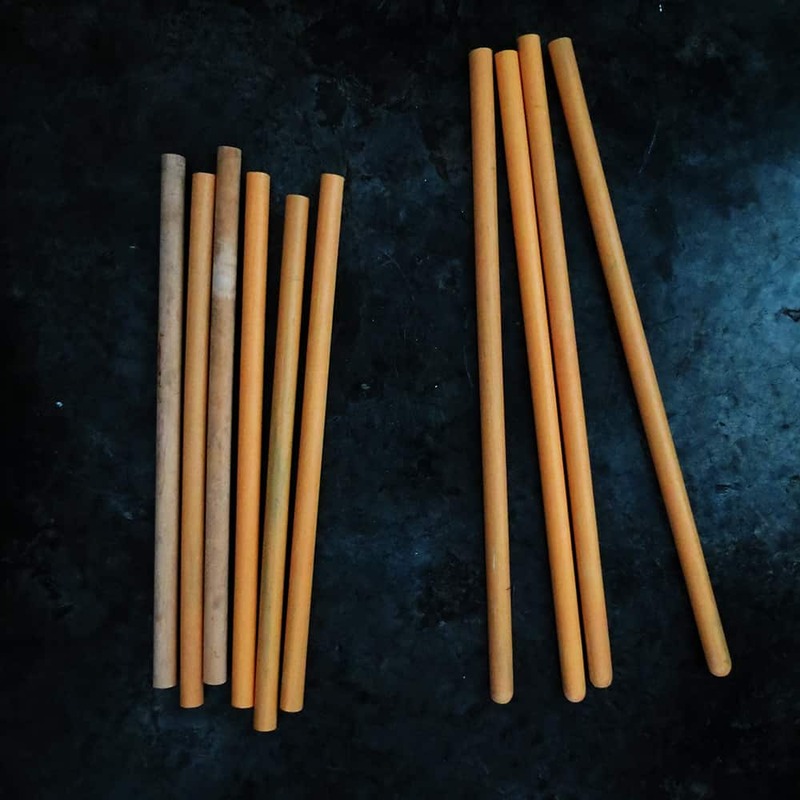 Cut the broom handles or the dowels at the following dimensions: 4 pieces of 24 inches (60 cm) to make the table legs, and 6 pieces of 15 inches (38 cm) to make the supports between the legs. Sand them. Stain or paint all the pieces, and apply a coat of varnish. 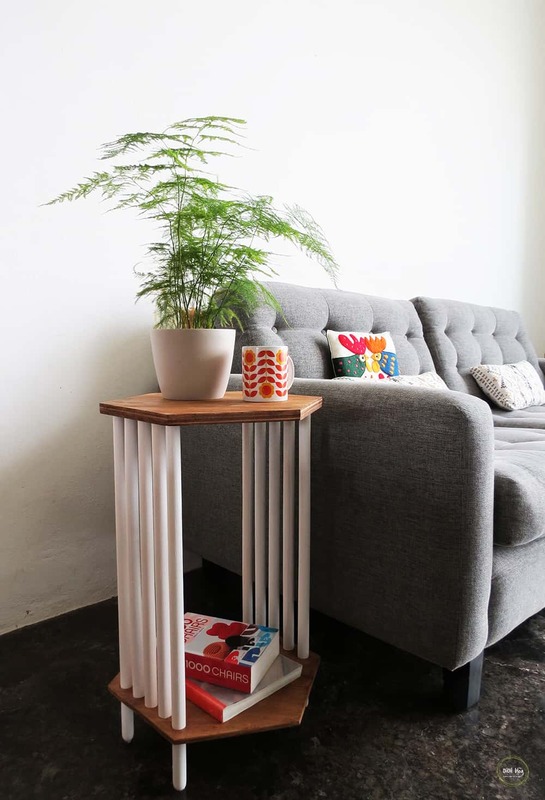 Once it’s dry you can start assembling your table. Take the top tray and place it on the floor, holes facing up. 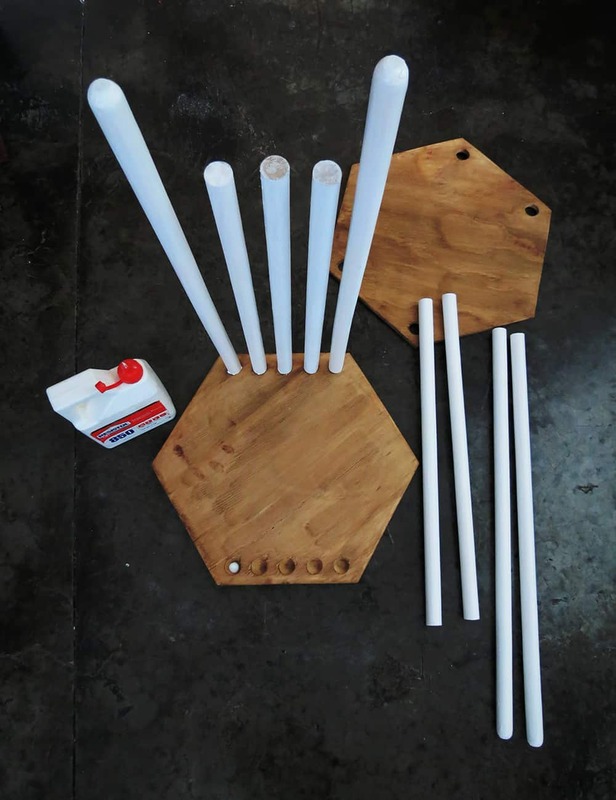 Put glue in each hole and stick a dowel into it. Remember that the short ones goes in the middle and the longest at each end to make the table legs. Wait for the glue to dry. 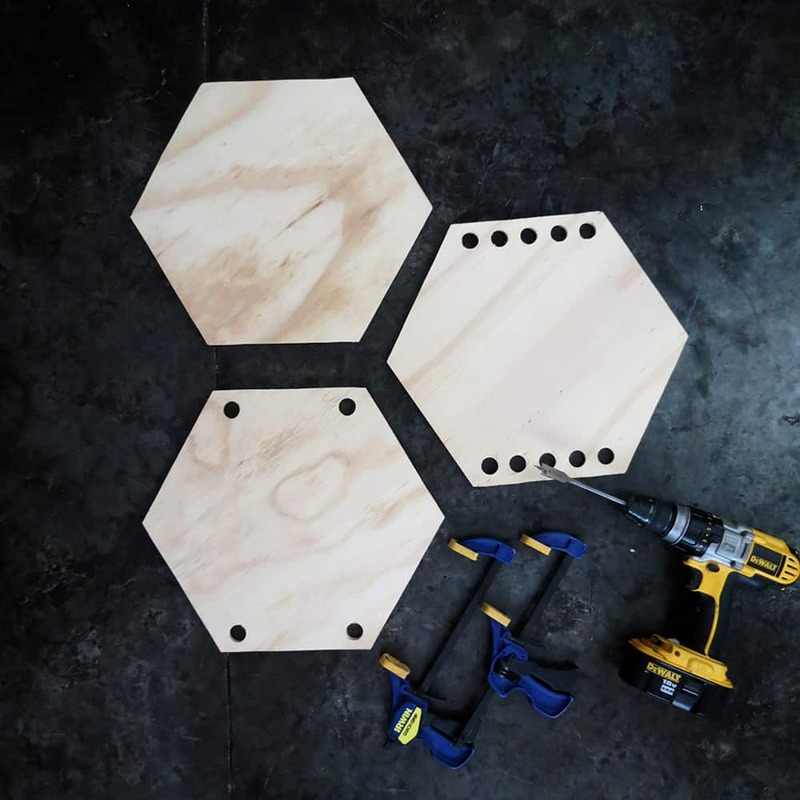 Slide the legs through the bottom hexagon. Check that all the dowels are perfectly vertical and align, fix them with screws on the bottom tray. And done, just put you table back in place and enjoy. 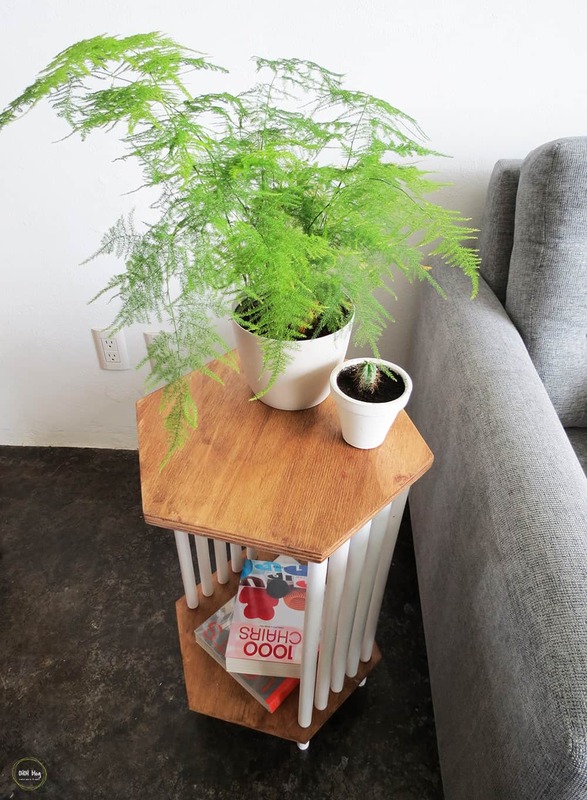 I use it as a side table in my living room, but it will also make a great plant stand! 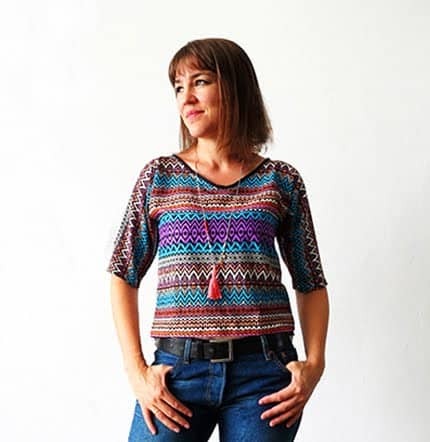 Hello Lisa, I’m so glad that I’m not the only one crazy about hexagons! I have a current obsession for hexagonal tiles…did you saw them?